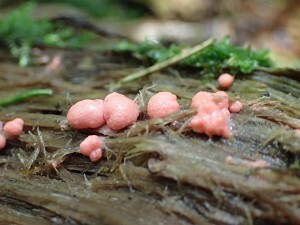 A common myxomycete which was divided into two species (Lycogala epidendrum sense stricto and Lycogala terrestre) based on differences in the colour of plasmodium, spore mass and properties of the psuedocapillitium. The two species are often difficult to separate convincingly. 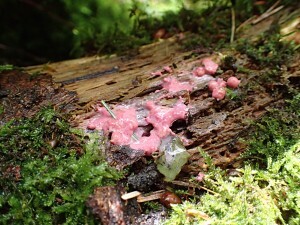 Common name: Wolf’s milk. 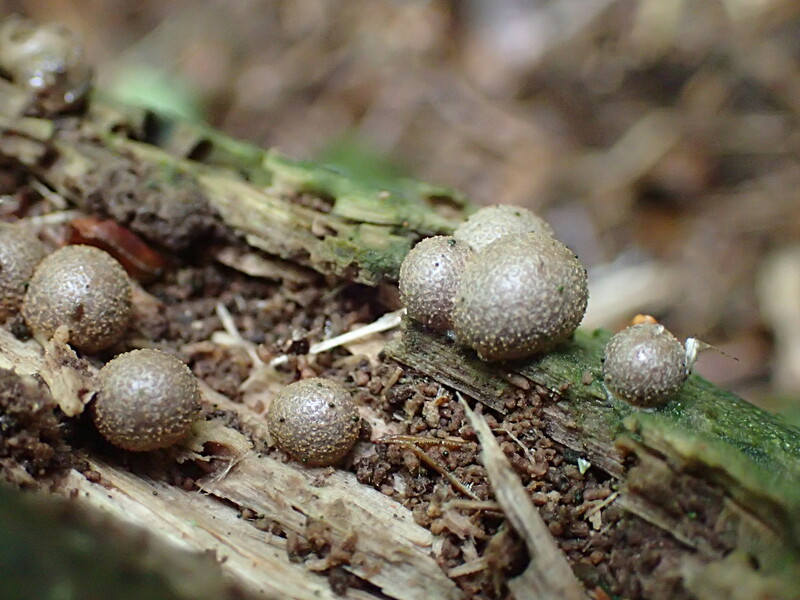 Lycogala epidendrum – plasmodium red, spore mass grey, pseudocapillitium <12 um diameter. 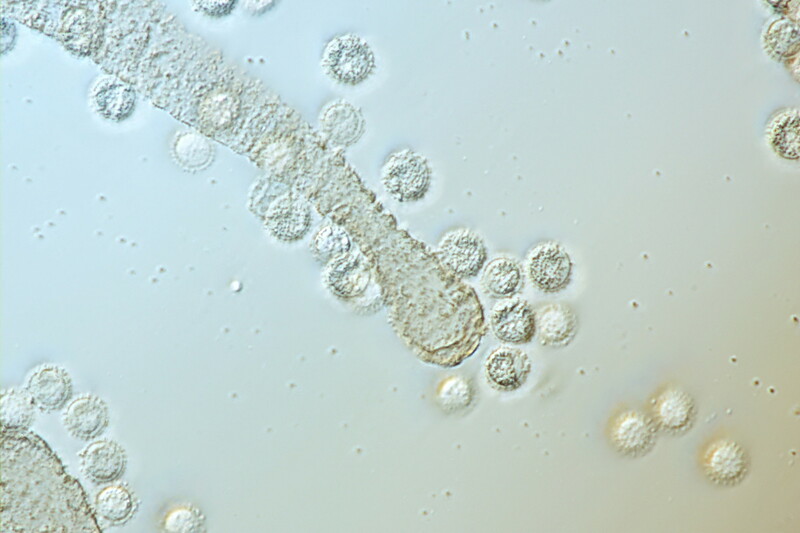 Spores 6 – 7.5um. Lycogala terrestre – plasmodum salmon-pink, spore mass pink, pseudocapillitium 12-25um diameter. Spores 6 – 7.5um. Thanks to Adrian Bennett for comments.